In a short 5 days we will choose our next president, but an Indictment could end Hillary Clinton’s election run. Meanwhile mail-in ballot fraud is making the news in Florida and California, as Donald Trump surges in the polls. There is a Revolt going on within the FBI. Good agents are sick of the corruption and doing something about it. The silenced majority is no longer silent and singing like a canary. Authorities now believe there is about a 99 percent chance that up to five foreign intelligence agencies may have accessed and taken emails from Hillary Clinton’s private server. The revelation led House Homeland Security Committee Chairman Michael McCaul to describe Clinton’s handling of her email system during her tenure as secretary of state as “treason.” An arrest should come soon. An Indian Shores man got a letter in the mail, warning him something was up, with his mail-in ballot. More monkey business is suspected in Broward County Florida, as Brenda Snipes the Supervisor of Elections, had a private closed door meeting with Hillary Clinton yesterday. California man finds dozens of ballots stacked outside home. 83 ballots, each unused, were addressed to different people, all supposedly living in his elderly neighbor’s two-bedroom apartment. CA man finds 83 ballots addressed to his deaf neighbor, with 83 different names. Voter Fraud? #HillaryIndictment https://t.co/uHSnFfgi3x? Barack Obama is probably waist deep in the corruption. It’s already been proved by Wikileaks Barack Obama lied to congress about his knowledge of Hillary’s private email server. That alone is grounds for Impeachment. The snakes are slithering – while the fast rats are jumping ship. But the slow Rats will wind up going down with the ship.. Loretta Lynch is one slow rat that i can think of. Sure there are many more.. Unfortunately the wheels of justice turn slowly, but that could be good thing in this situation. 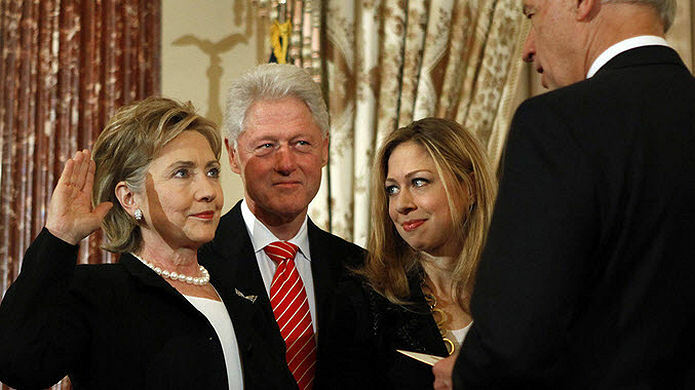 There is so much evidence piling up on the Clinton Family Foundation. The FBI will hit Hillary for treason, money laundering, and more that’s tied to the foundation. They may not charge her with the email stuff, but use it to trace the foundation donations and tie them to the play-for-pay favors that went on. The FBI possibly could be making a deal with Huma Abedin and Anthony Weiner for their testimony against Clinton. Crooked Hillary will have the finest attorneys money can buy. That’s why the feds have to have their ducks in a row. We wouldn’t want Hillary getting off on a technicality! If Hillary is arrested AFTER Donald Trump takes office, Obama can’t pardon her. Otherwise if Hillary Clinton is Indited Today, Barack Obama could pardon her the next day, allowing the election to run on 11/08. Of course we know Donald J Trump will win this election by a landslide!